Welcome to the Poppy Shop, the official online charity and gift shop of The Royal British Legion. 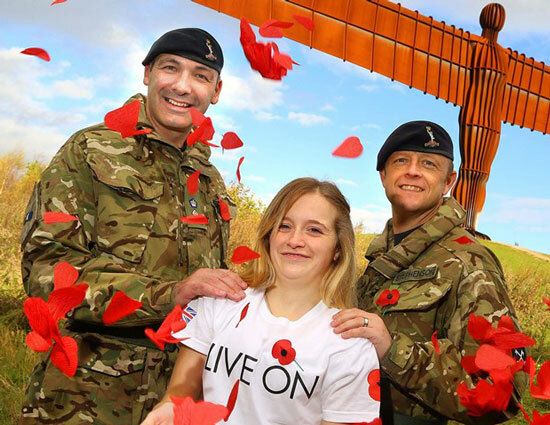 The Royal British Legion provides help, and welfare to the serving and ex-Service community and their families, is one of the UK's largest membership organisations, is the nation's custodian of Remembrance and runs the annual Poppy Appeal. Any profit made from our online store is donated back to our charity in the form of gift aid. Our online shop is dedicated to selling our very own branded merchandise along with a variety of products from independent suppliers all of which is brand new. Our buying team here at the Poppy Shop are constantly sourcing new products and designs all of which are listed within our categories. Here you can shop for some stunning charity products including clothing, gifts, jewellery, accessories, wristbands plus so much more. In the lead up to the poppy appeal, our online charity gift shop traffic quadruples and the demand for our products rockets. If you're thinking of getting someone you know a gift we have plenty of gift ideas to choose from - our ranges of charity gifts and jewellery are some of the most popular items on our store. Those in poor health or living with a long-term illness or disability. We are there for them at life's critical events - injury, bereavement, at times of financial hardship and when they need care in old age. Nearly a quarter of those we help now are below the age of 44. Today's economic conditions are already severely affecting the youngest and most vulnerable in our beneficiary group so even the smallest amount you give, can make a difference. And remember that we need money all year round, not just during the Poppy Appeal. We deliver health and welfare support to Service people, young and old, and their families.